A homeless wanderer, bearing nothing but a knapsack and Bible, sets off to follow St. Paul's advice to "pray without ceasing" in this classic of world spirituality. Written by an anonymous nineteenth-century Russian peasant, it traces his attempts to achieve a greater intimacy with God by chanting the Jesus Prayer ("Lord Jesus Christ, Son of God, have mercy on me"). 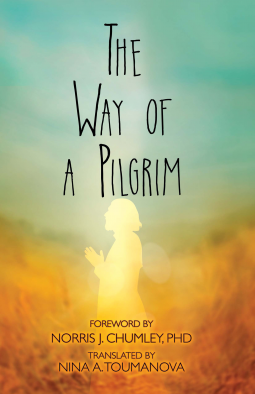 Generations of readers—including seekers of all faiths—began their spiritual lives by following the pilgrim's attempts to discipline his mind toward a constant awareness of God's presence as manifested through Christ's mercy. This exploration of the power of prayer offers people everywhere, in every situation, a starting place on a journey to peace, freedom, and salvation. This edition features a brand-new Foreword by Norris J. Chumley, Ph.D., an Emmy Award winning authority on religion and history.